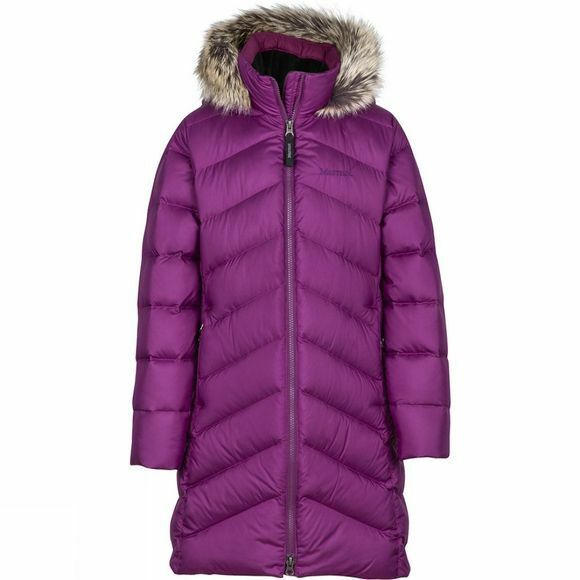 Sightseeing and sleigh rides in Central Park — bundle her up in the stylish full-length Girls Montreaux Coat from Marmot. 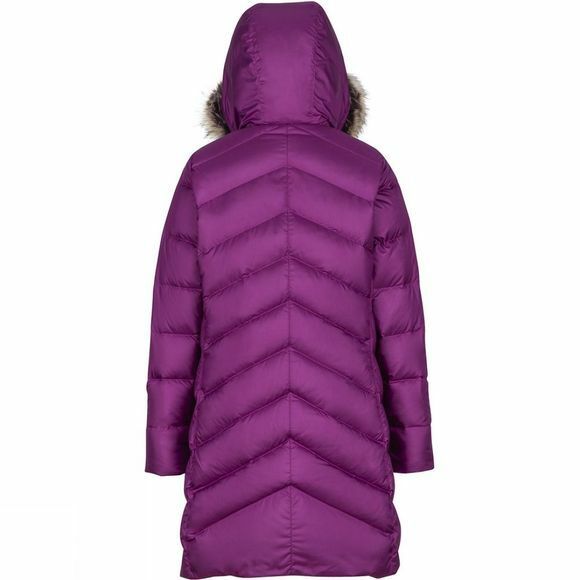 A water-resistant polyester fabric is filled with water-resistant, 700-fill-power down for the utmost protection in flurries. Toasty features like a down-filled hood with a removable extra-full fur ruff, fleece-lined torso and micro fleece internal cuffs capture the heavenly warmth of chestnut roasting on an open fire.